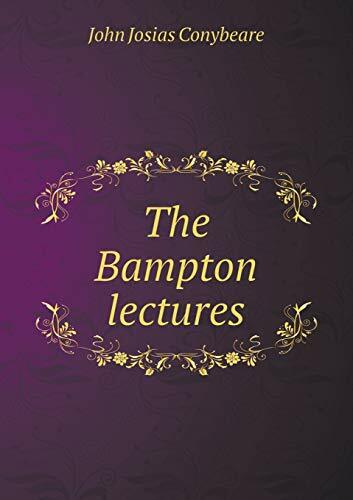 The Bampton lectures for the year MDCCXXIV. Being an attempt to trace the history and to ascertain the limits of the secondary and spiritual interpretation of Scripture (1824). This book, "The Bampton lectures", by John Josias Conybeare, is a replication of a book originally published before 1824. It has been restored by human beings, page by page, so that you may enjoy it in a form as close to the original as possible.